Stretch your budget with these cost-conscious display options. Perfect for small businesses or non-profits just starting to exhibit at business expos, trade shows, special events, and conventions. Our affordable flat-cost design service can also make your display slick and professional without breaking the bank. 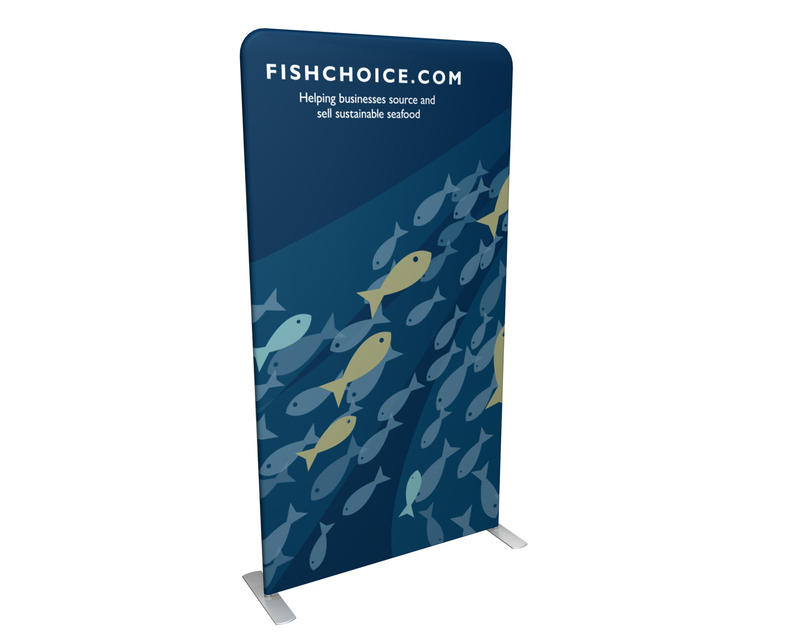 Three Waveline Media panels combine to form a lightweight, wrinkle-free back wall. The price includes a mount for a monitor, over head lighting, and a hard shipping case that converts to a graphic-printed counter. 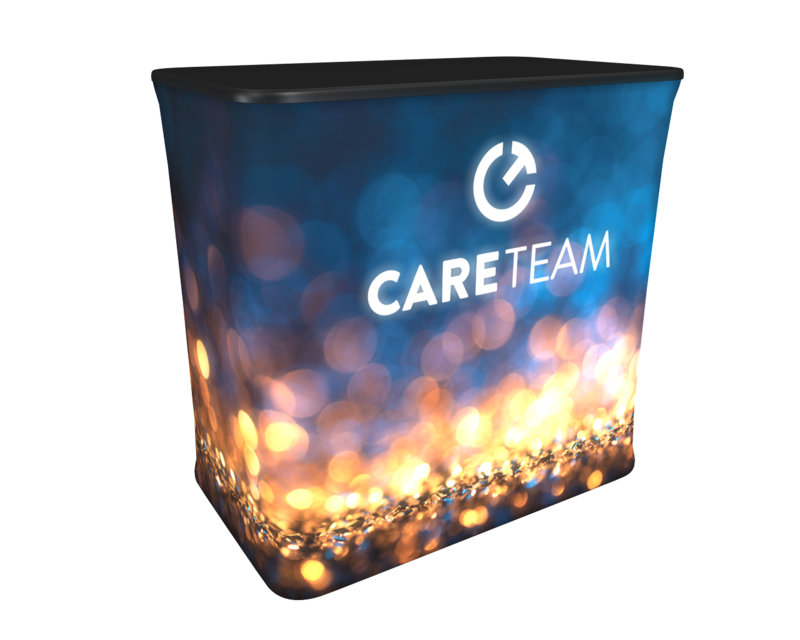 This premium kit with an 8ft illuminated back wall includes a hard shipping case that converts to a podium with a printed fabric cover. Shipping protection, storage solutions, and a handy counter are some of the well-planned features provided. 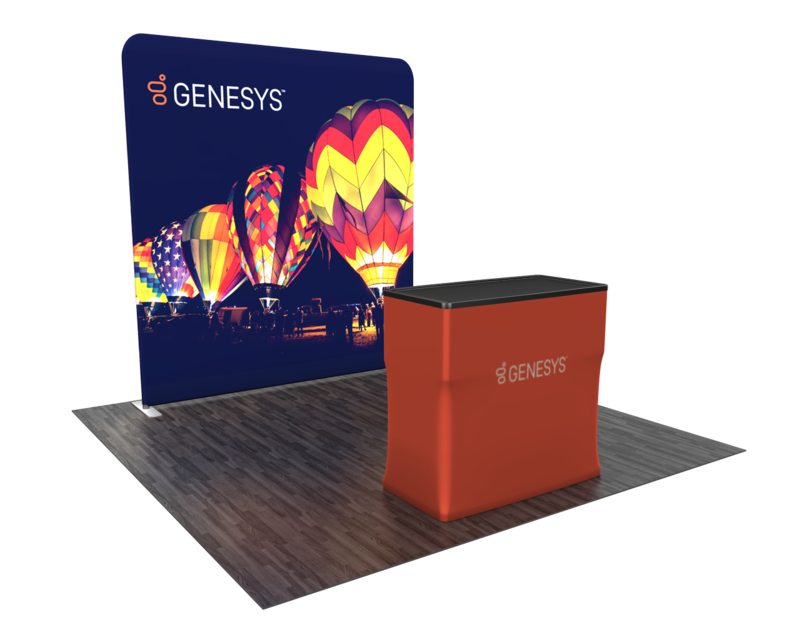 High quality tension fabric display with curved profile that sets up in minutes. The graphic is printed with dye sublimation and is virtually wrinkle free. Kit comes with 2 LED lights and a hard shipping case that converts to a counter with a printed graphic wrap. The rectangle-topped Wavelight Air Backlit Inflatable Counter is quick and easy to set up. 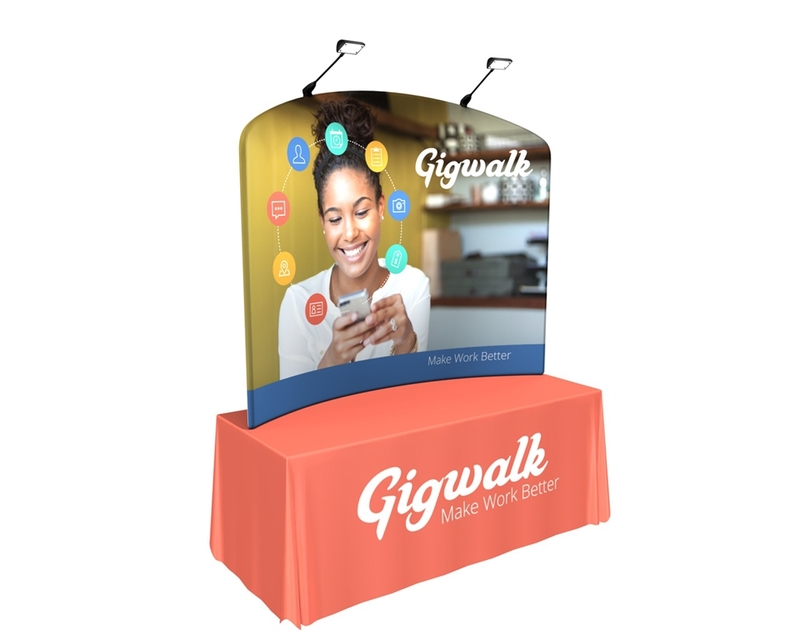 Perfect for product launches, food sampling, ticketing, retail counters, trade show booths, promotional displays, exhibition counters and more. Tension fabric pillow case style graphic that fits over lightweight aluminum tubing to create a vibrant double sided banner stand. Table throw (6ft) that offers custom printed graphics throughout the entire table throw. Default option is full for the throw to drape down in the back, optional cheaper alternative is an open back. These fabric graphics are machine washable and retain color. Hemmed edges add strength and prevent fraying. 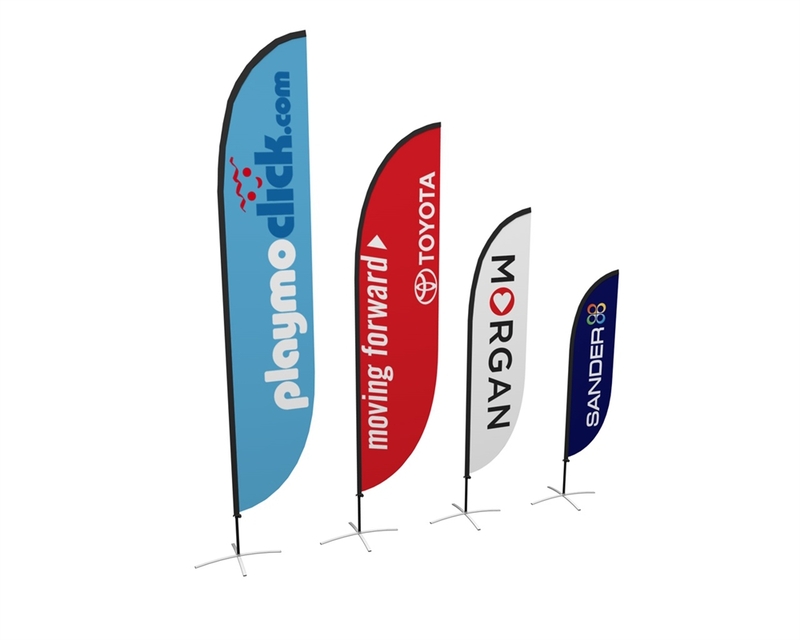 The Zoom Feather Flag is an innovative and eye catching option for either indoor or outdoor display. 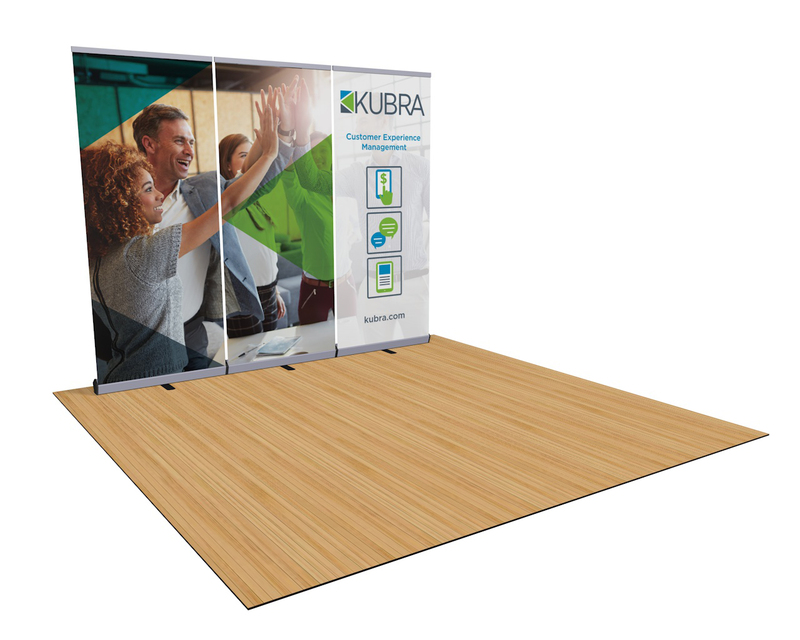 Our all-time best-selling 10'x10' booth display line due to its ease of setup, pricing and modern design. Premium tension fabric slides over aluminum frame. 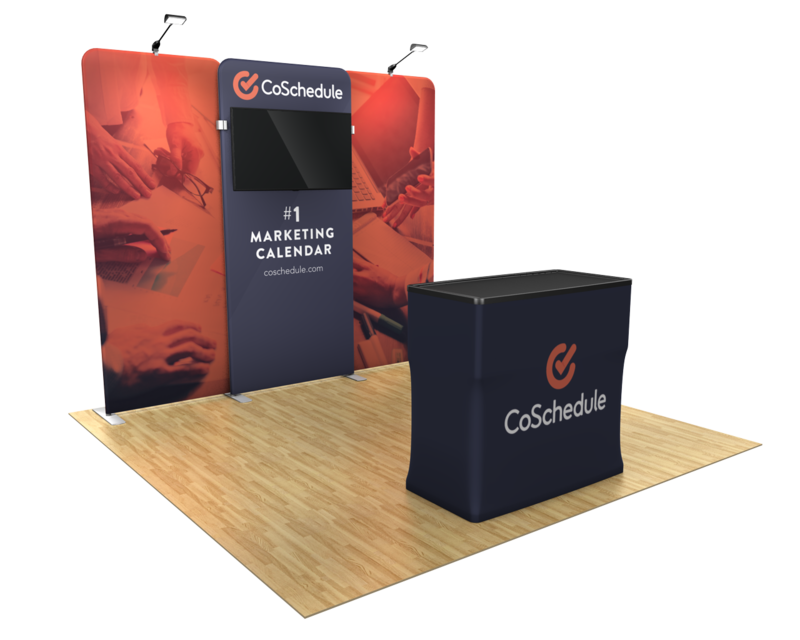 Whether you need media in your trade show booth or just like the variety of panel dimensions and sizes, Waveline Media has limitless possibilities. With a custom-modular extrusion-based system, the XVline system combine a tool-less assembly with both fabric and rigid-substrate graphics. Efficiency at work. 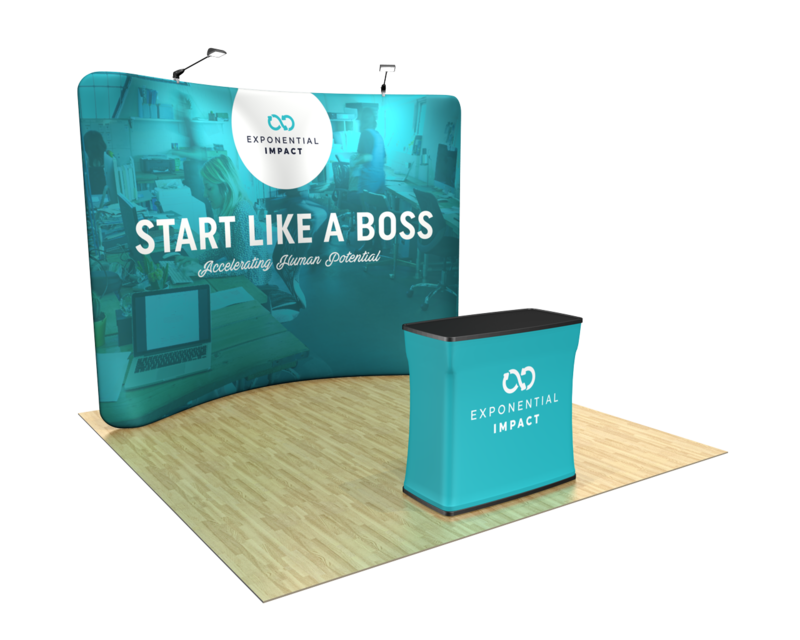 Easy-up banner stands serve double-duty either as a back wall in a booth or as a stand-alone for a meeting. The ease of a pop-up frame combined with a high-quality printed fabric that attaches directly to the frame. Five minute or less setup and break down. The future of visual display marketing, backlit trade show displays allow creators to add tone, mood, or atmosphere with light to elevate their message. These modern structures have endless capabilities for creating a high-end visual experience. 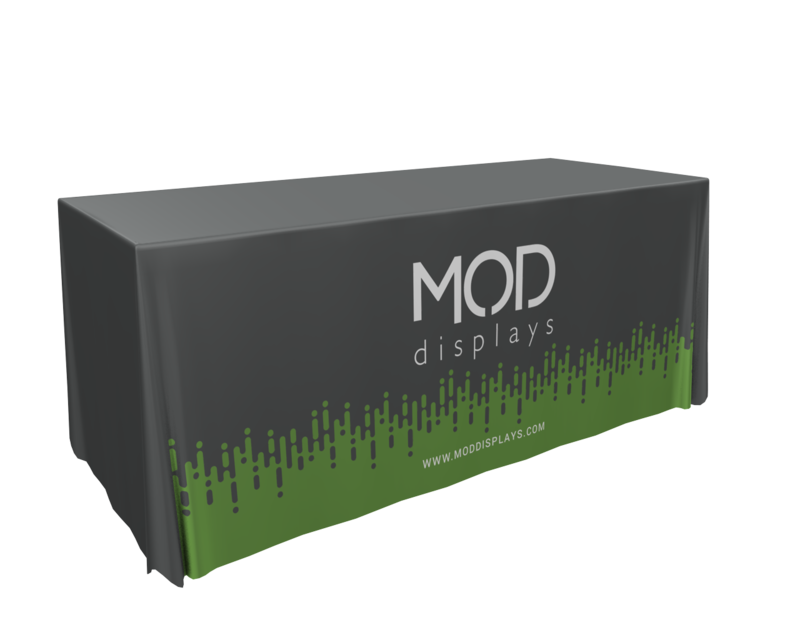 Customize to meet your media and product display needs.